Every society must have a system for capturing, storing, and distributing water, a system encompassing both technology and a rationale for the division of this finite resource. Today, people around the world face severe and growing water scarcity, and everywhere this vital resource is ceasing to be a right and becoming a commodity. 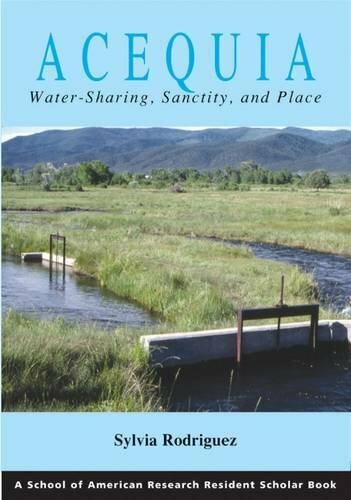 The acequia or irrigation ditch associations of Taos, Río Arriba, Mora, and other northern New Mexico counties offer an alternative. Few northern New Mexicans farm for a living anymore, but many still gather to clean the ditches each spring and irrigate fields and gardens with the water that runs through them. Increasingly, ditch associations also go to court to defend their water rights against the competing claims brought by population growth, urbanization, and industrial or resort development. Their insistence on the traditional “sharing of waters” offers a solution to the current worldwide water crisis.